Signagelive, whose digital signage platform is used globally by over 1,900 organisations to manage their networks, has partnered with AskCody. Signagelive and AskCody are working together to provide digital signage solutions to Value Added Resellers and their customers. AskCody WayFinder for Signagelive is leading the way offering a frictionless wayfinding experience for staff and visitors at Modern Workplaces, College and University Campuses, and Healthcare facilities. 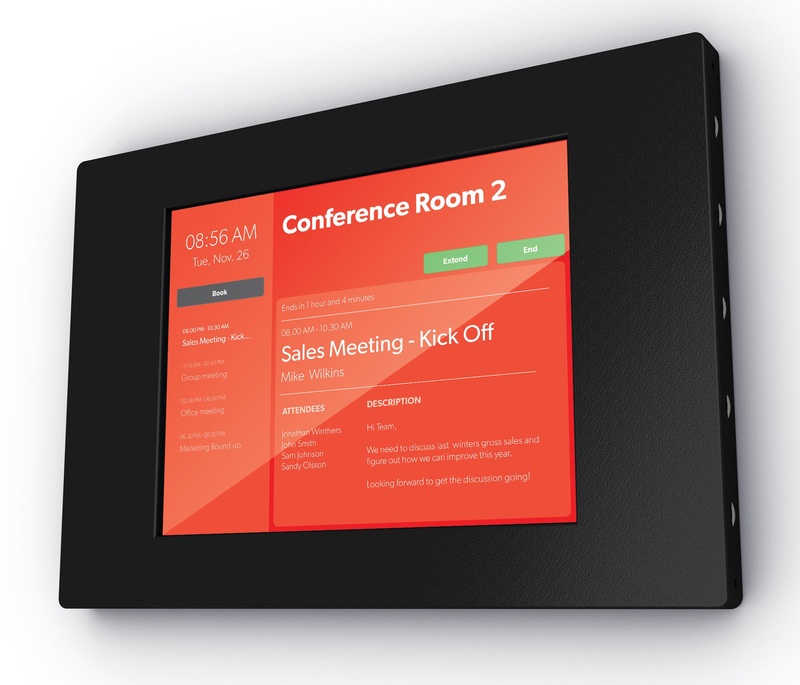 WayFinder is the ideal solution for large and dynamic indoor environments to.guide you to your destination whether it ́s a specific meeting room, workstation, meeting, an appointment, a seminar, or even a person. AskCody Meeting Room Displays helps to take away the hassle of “No Shows” and prevent meeting crashers! Connect your Exchange, Outlook or Google Calendar to Signagelive and get more out of your meeting rooms instantly. AskCody ActivityView also connects your Exchange, Outlook or Google Calendar to Signagelive to provide everyone with one complete overview of the day’s meetings. ActivityView shows information about current and upcoming meetings. Also, it shows events available for both users and visitors which displays the subject, the start time, the host and where the events are located. Customers are telling us that a flexible workplace environment with the right management tools is key to their future success. It’s one of our customers’ biggest concerns and requests to have everything regarding meeting room booking and meeting room management, integrated with both their calendar and communication platform (Office 365, Outlook or Google Calendar). As well as seamlessly integrated with their digital signage platform to reduce the number of point solutions in their workplace tech-stack. In today’s Modern Workplace an integrated and seamless Meeting Management experience is vital to stay in control, get complete visibility, and consistency across processes, to increase productivity and operational efficiency, thereby empowering people to meet more effortless and by the end of the day raise workplace utilisation. AskCody brings just that, enabling and empowering employees to manage meetings and meeting rooms with ease, all inside Outlook, Office 365 and Google Calendar. The collaboration with Signagelive allows us to extend the AskCody experience through Signagelives powerful digital signage platform to customers worldwide, now enabling them to manage meetings smarter. Signagelive resellers and customers want a single platform to manage all of their digital signage devices and applications. In addition to the core features of Signagelive, we are partnering with class-leading applications and companies to extend our capabilities. Our collaboration with AskCody delivers comprehensive wayfinding and meeting room solutions to Signagelive customers looking to extend their digital signage network capabilities. Internal Communications is key focus areas for Signagelive and we are delighted to partner with AskCody to deliver a total solution inclusive of meeting room management and wayfinding for our partners and customers. AskCody is offered as The Modern Workplace Platform that eliminates Office Friction, improves Productivity, Work Pleasure, and enhance Workplace Utilisation. The AskCody platform accommodates all organisational aspects of meetings, reducing the organisational load while minimising the number of hours spent per employee on organising and scheduling meetings. We help companies to simplify administrative tasks making the daily life easier managing the workplace, including meeting management, providing workplace visibility and connecting the work environment.</p. It’s our mission to providing an organisation with the frictionless office bridging the gap between the digital workspace, like Outlook, Teams and Office 365, and the physical workspace, giving organisations and staff the visibility they need to stay in control and improve productivity. Companies immediately increase operational efficiency, reduce office friction, enable people to meet more effortless, allow businesses to make the most of their resources, and improve overall company identity. It’s a must-have solution to provide everyone with a constant overview. Signagelive’s digital signage platform is used globally by over 1,900 organisations to manage their networks. Supplying digital signage software and services to multiple markets including retail, education,and hospitality, to over 46 countries across EMEA, Americas and Asia Pacific. Its innovative technology media playback software is written in HTML5, is cloud-based and is compatible with an unrivalled number of display screens, mobile devices and video wall display systems.